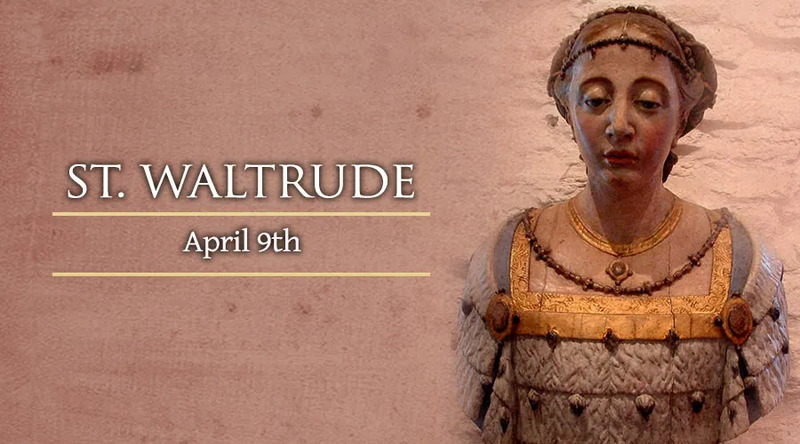 St. Waudu, also known as St. Waltrude, came from an extremely saintly family in Belgium. Her parents, her husband and her three children were declared saints. Her husband was the Count of Hennegau - and after their children were born, she convinced him to become a monk. He later founded an abbey at Haumont. She gave away all of her possessions, built a small house and lived alone. However, many people still sought her wisdom and advice. Eventually, she had so many followers that she had to have a monastery built, around which the current town of Mons developed. By the time of her death in 688, she had become famous for her charity and her miraculous healings.